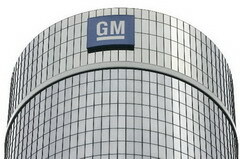 GM, one of the biggest US automakers, has confirmed that it will lay off 10,000 jobs by the end of this year. According to the company, its worldwide salaried staff will be reduced to 63,000 from its current 73000. GM said that it had to take the step because of a huge drop in the sales of the vehicles worldwide. In these 10,000 jobs, nearly 3,400 will be cut in the United States and it was already highlighted in the plan proposed to the US government. These efforts to cut cost are a part of plan that General Motors has submitted to Congress during December last year. GM and Ford bosses also offered that they would work for 1$ if the bailout for automakers was approved by the congress. The US Govt. provided $10.4 billion in loans to GM and $4 billion to Chrysler as an emergency aid to the companies. Both these companies were assigned for additional $4bn at some later date. It was also announced on Monday that many salaried employees of the company will have to bear a temporary reduction in salaries from first May to the end of the current year. According to the carmaker, salaries of the executives to be decreased by 10 percent and some other will see 3% to 7% reduction. Who Do You Sue If You Are in an Accident?